E. Warder Studio features one-of-a-kind handcrafted jewelry made with fresh pearls, gemstones, crystals and other items set in sterling silver and 14K gold. Elissa Warder has explored many creative mediums and attended the School of Visual Arts in New York City. On her fourth wedding anniversary, her husband gave her four diamonds and an invitation to design her own ring with them. She sketched some designs and took the diamonds to Veberod Gem Gallery to have the ring made. Much to her surprise, the gallery made her ring and offered her a job at the gallery! 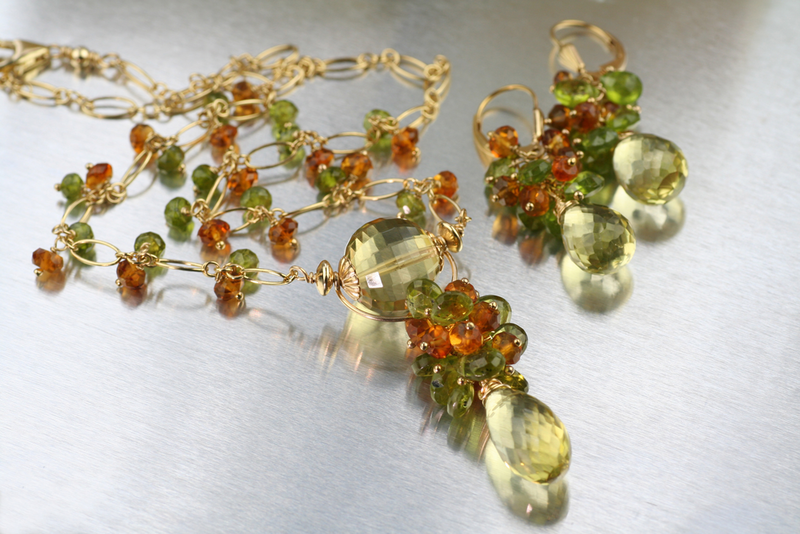 While working there, she was inspired to create jewelry which accentuated the natural beauty of the gemstones. In 1991, she launched E. Warder Studio and her own line of jewelry.